Many important real-world decision-making problems involve group interactions among individuals with purely informational externalities. Such situations arise for example in jury deliberations, expert committees, medical diagnoses, etc. We model the purely informational interactions of group members, where they receive private information and act based on that information while also observing other people's beliefs or actions. In the first part of the talk, we address the computations that the Bayesian agent should undertake to realize the optimal actions at every decision epoch. We use the iterated eliminations of infeasible signals (IEIS) to model the thinking process as well as the calculations of a Bayesian agent in a group decision scenario. We show that IEIS algorithm runs in exponential time; however, when the group structure is a partially ordered set the Bayesian calculations simplify and polynomial-time computation of the Bayesian recommendations is possible. We also analyze the computational complexity of the Bayesian belief formation in groups and show that it is NP-hard. We also investigate the factors underlying this computational complexity and show how belief calculations simplify in special network structures or cases with strong inherent symmetries. We finally give insights about the statistical efficiency (optimality) of the beliefs and its relations to computational efficiency. In the second part of the talk, we propose a model of inference for heuristic decision-making that is rooted in the Bayes rule but avoids the complexities of rational inference in group interactions. Accordingly, the group members behave rationally at the initiation of their interactions with each other; however, in the ensuing decision epochs, they rely on heuristics that replicate their experiences from the first stage, and can be justified as optimal responses to simplified versions of their complex environments. We study the implications of the information structure, together with the properties of the probability distributions, which determine the structure of the so-called ``Bayesian heuristics'' that the agents follow in this model. We also analyze the group decision outcomes in two classes of linear action updates and log-linear belief updates and show that many inefficiencies arise in group decisions as a result of repeated interactions between individuals, leading to overconfident beliefs as well as choice-shifts toward extreme actions. Nevertheless, balanced regular structures demonstrate a measure of efficiency in terms of aggregating the initial information of individuals. We end the talk, by explaining some experimental setups that test which of the two models, rational or heuristic, are better descriptors of actual human behavior in groups. 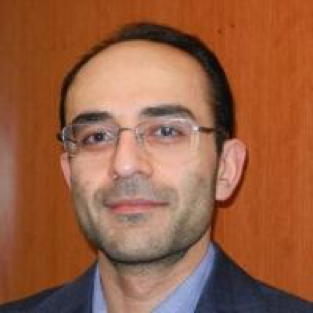 M. Amin Rahimian is a visiting Ph.D. student at MIT Institute for Data, Systems, and Society. He received his bachelor’s degree in Electrical Engineering-Control from Sharif University of Technology. In 2012 he received his masters from Concordia University in Montréal, and in 2016 he received his A.M. in Statistics from the Wharton School, and M.S. in Systems Engineering, both at the University of Pennsylvania, where he is currently a Ph.D. student at the Department of Electrical and Systems Engineering and the GRASP Laboratory. He was a finalist in 2015 Facebook Fellowship Competition, as well as 2016 ACC Best Student Paper Competition. His research interests include network science, distributed control and decision theory, with applications to social and economic networks.